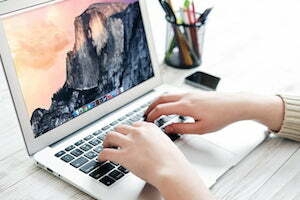 If you are a Mac user, you will often want to view different videos on your computer, and therefore you may require downloading them from online sites. You can utilize a great video downloader for Mac to get the videos on your computer, and this article outlines the best five Mac OS video downloaders. Snaptube is a powerful streaming video downloader for Mac, which supports download of multiple videos online. It supports the preview of videos before you download them and you can download your videos from a variety of video sharing sites such as YouTube, Vimeo, Facebook, Dailymotion, Instagram, and many others. With SnapTube, you can directly save a song in a place of the whole video without the need of installing an additional app for conversion. Moreover, the app is free, and you can effectively manage the download of your videos through pause and resume buttons. With SnapTube you can directly download MP3 files without conversion and also videos of different resolutions. MediaHuman YouTube to MP3 Converter for Mac supports download and conversion of online videos from YouTube, Vimeo, Vevo, Bandcamp, Soundcloud, and Hype Machne videos. It allows the saving of audio tracks in original quality without conversion. The app is free, and it allows you to download the entire playlist to your computer. JDownloader is an open source app that is platform independent and is written in Java. It supports free video download from YouTube and other sites like Radishare.com or Megaupload.com. The app lets you choose the resolution you prefer for your video. It also supports downloading of YouTube playlist and channels. The video downloader does not offer video conversion and Java 1.5 or newer slows down the download. Total video downloader for Mac is a simple video downloader that is super-fast. With the video downloader, you can download any format such as MP4, AVI, 3GP, FLV, WebM. Etc. It supports multiple online sources. It has a simple interface, and you just need to copy paste the URL of the video, and the download box will pop up automatically. The disadvantage about this app is that it will not convert or optimize videos once they have been downloaded. More so, Total Video Downloader for Mac is not free; its price is $29.9. YTD is a free software with a current version on 2.0. It offers compatibility with a range of video streaming sites, and it allows video download from these places with ease. It helps convert videos to different formats after download allowing you to utilize the content on Apple devices and other devices. The interface is very basic, and the download controls are a little clunky. It lacks a little in the user friendliness and thus is not the best video downloader for Mac. open the SnapTube website https://www.snappea.com/ to begin the process. Next, tap on the website that you want to download videos such as YouTube, Great Apps, Vimeo or any other. Enter the URL or the name, or keywords of the videos you want to download from the online site on the search tab. Snaptube will display the results according to your search keywords. You can choose the video from the one listed. you can preview the video by clicking on it. Once you click on the name of the video, it will play, and you can decide whether it is the one you want. Click the “Download” tab to begin the downloading process. Choose the video resolution you want by clicking the “Video” button, and various resolutions will be displayed. 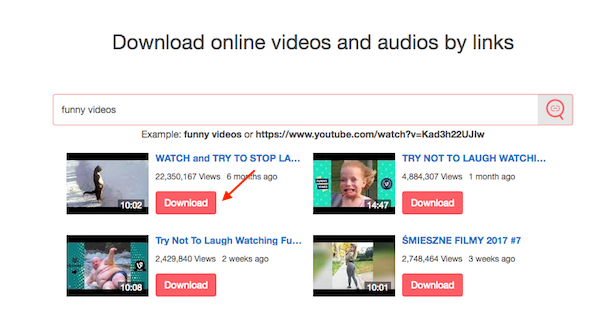 Once you click on the resolution you want, the video will be downloaded and will be saved in the “Downloads” folder.